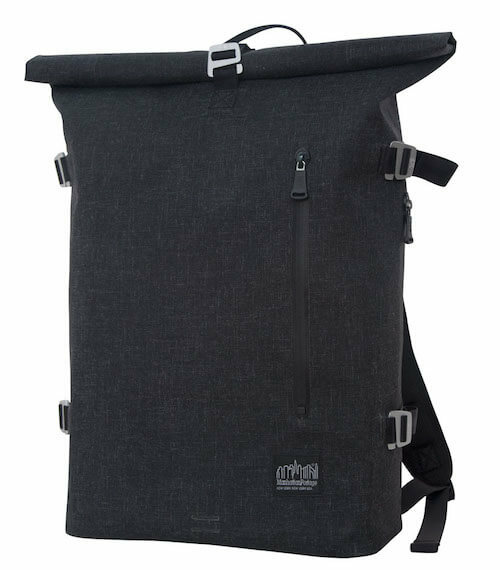 While it was designed as a biking backpack, the Harbor Backpack is perfect for commuters, students and travelers. 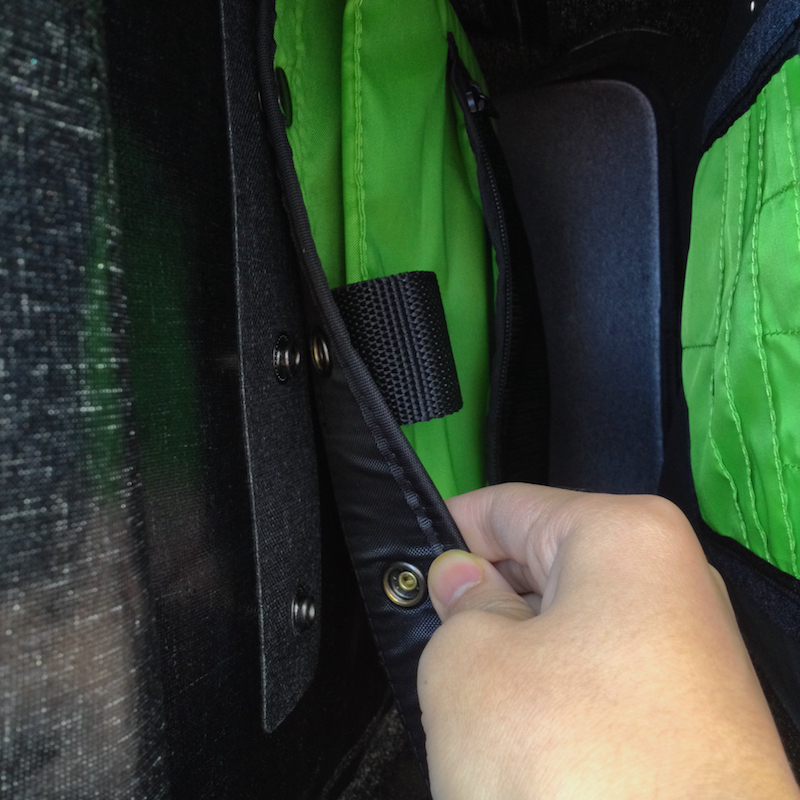 Inside the main compartment, you’ll find an apple green laptop compartment. 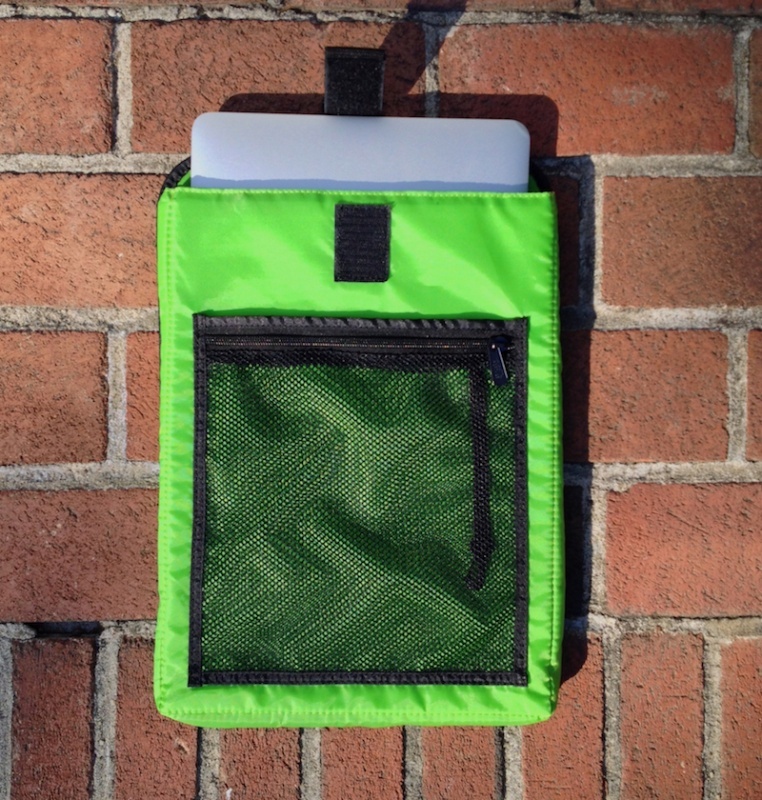 It is lightly padded and can hold laptops up to 15 inches. I’ve tried it with both a MacBook Air 13 inch and a MacBook Pro 15 inch. 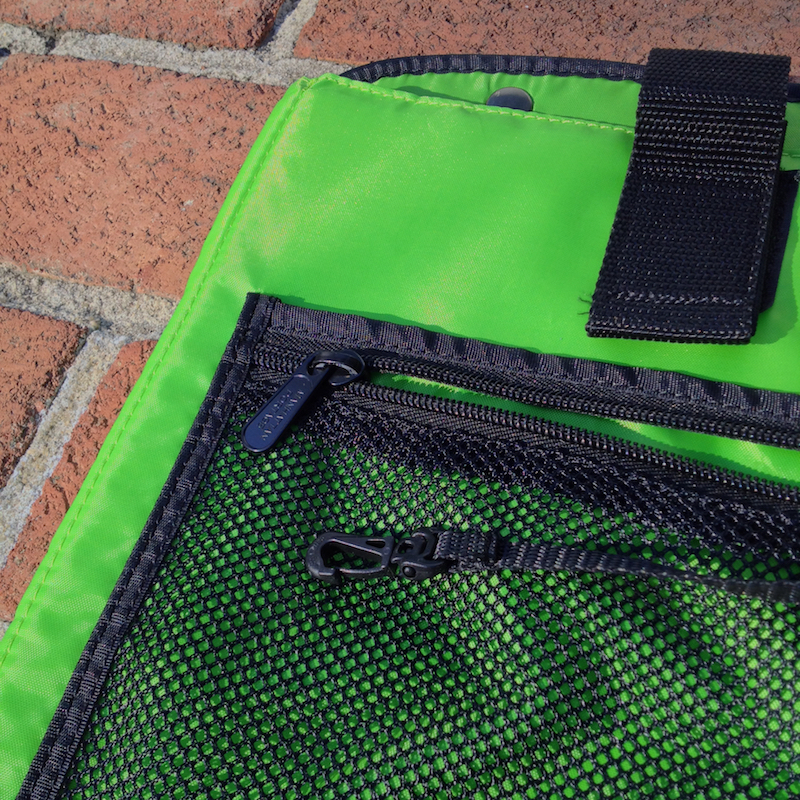 The laptop compartment also has a mesh zippered pockets for holding small items or your chargers. 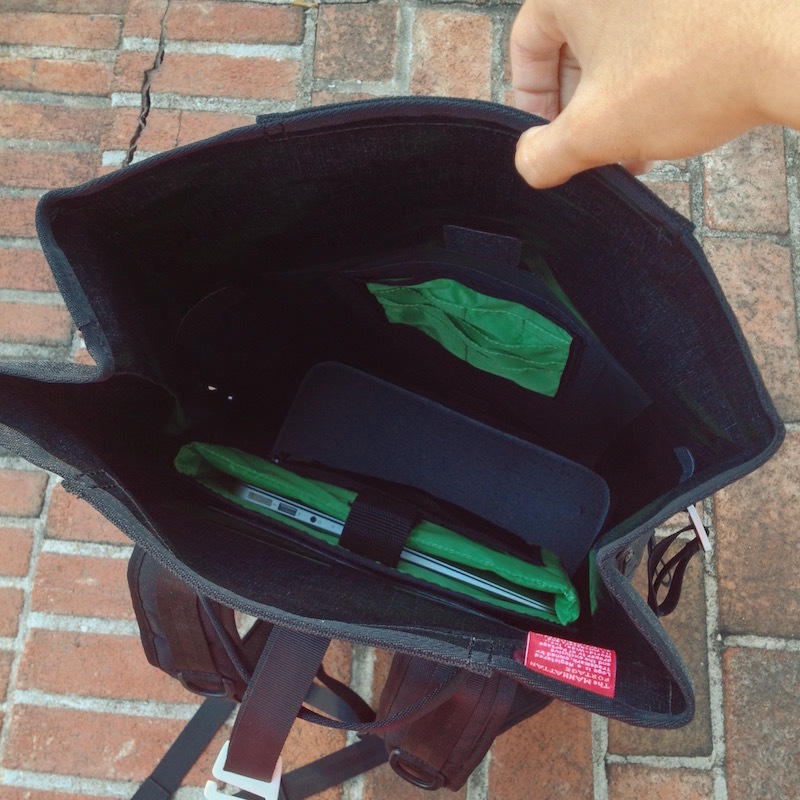 The laptop compartment can be easily removed from the backpack by undoing 3 buttons. This is handy if you need extra space and don’t need to carry a laptop. 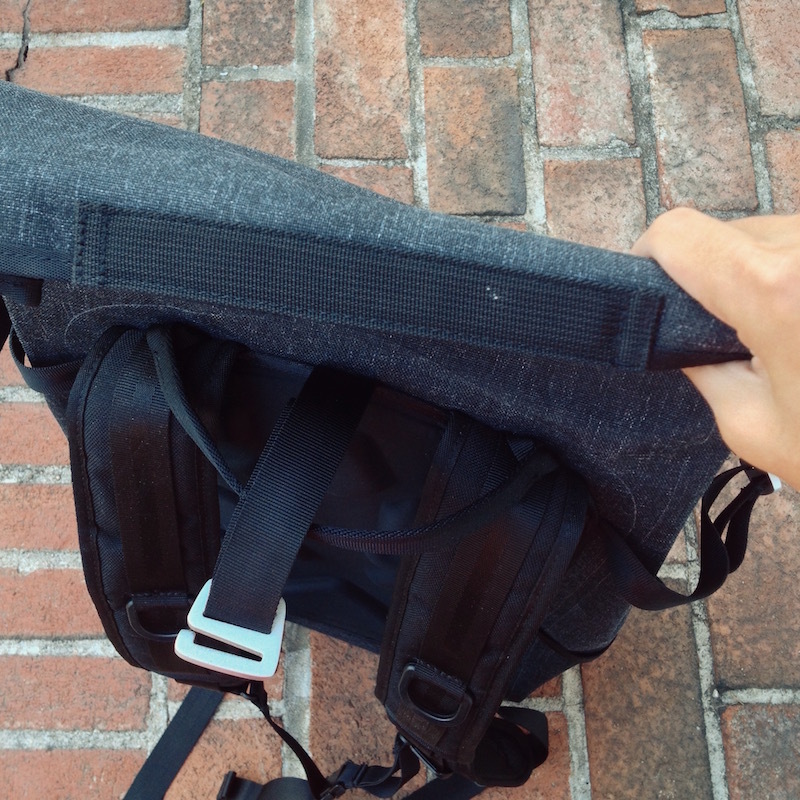 When disconnected from the backpack, the compartment is essentially a laptop sleeve. If you have a 17 inch laptop, you’ll still be able to fit it in the backpack, but the laptop won’t fit in the dedicated compartment. 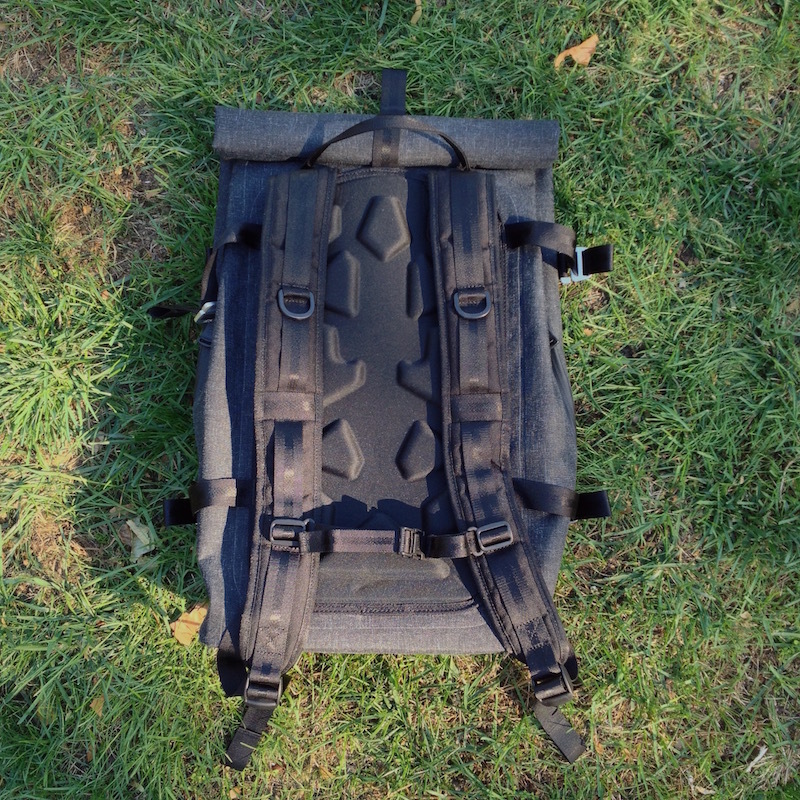 The backpack has a large capacity at 29-33 liters (1747 cubic inches) but is still carry on. I was able to use it for a 3 day trip in Atlanta. When I first got the backpack, I noticed that there was a grey foam sheet included. I wasn’t sure what it was for until I realized it is meant to be placed at the bottom of the backpack, giving the bag more rigidity and keeping it upright. One aspect I really like about this backpack is it’s aesthetics. The heathered charcoal black is snazzy and modern and matches with everything. 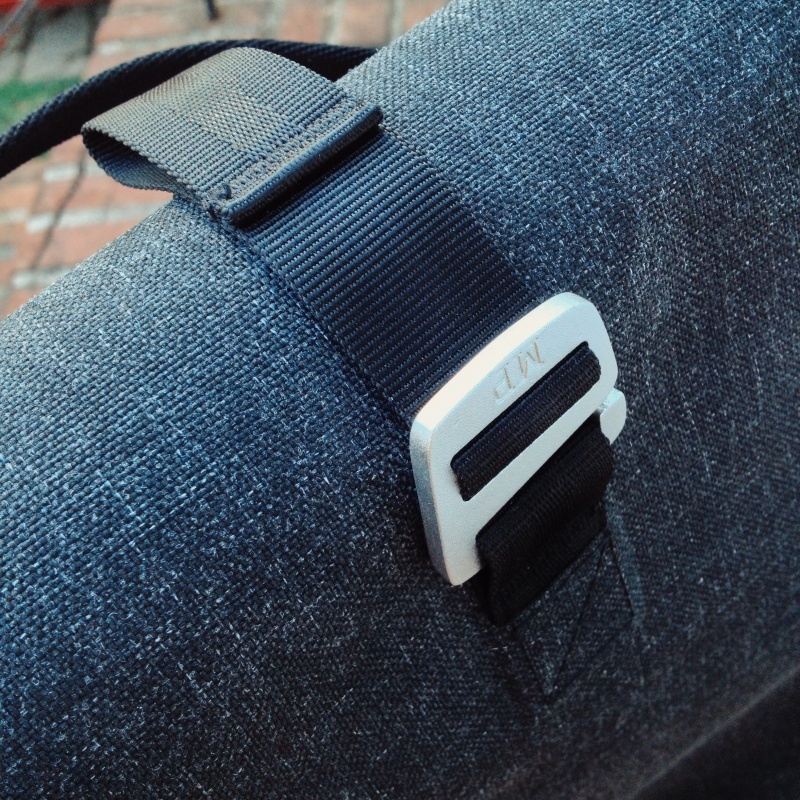 The bag has a minimalistic look and I’ve gotten a ton of compliments when using it. 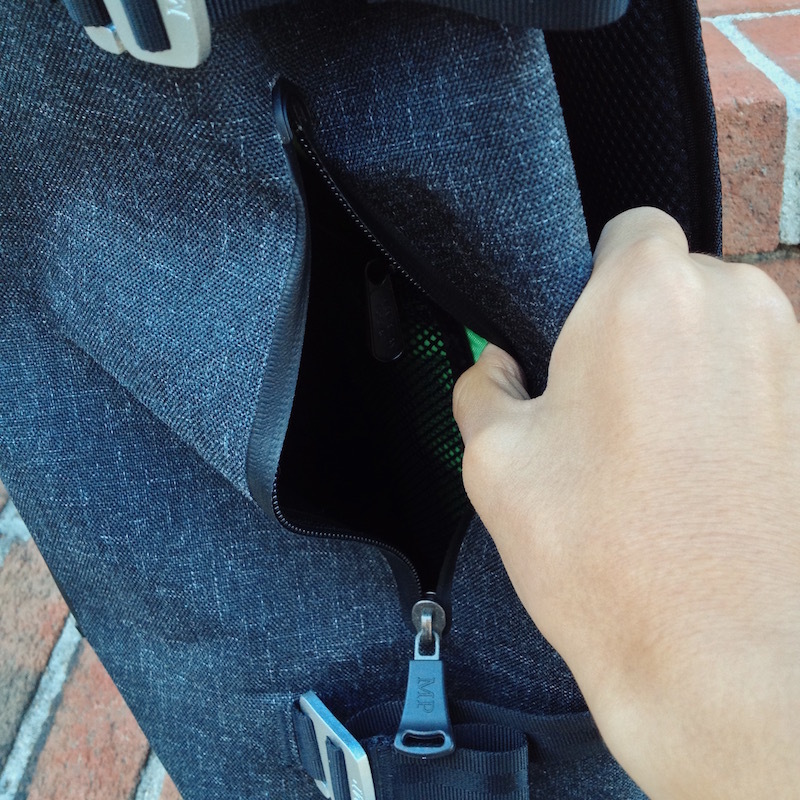 If you want to quickly grab something from the main compartment, you can use a side zipper (there are two, one on the left and one on the right) instead of opening the roll top. You can get a glimpse of the green the laptop compartment inside the bag. 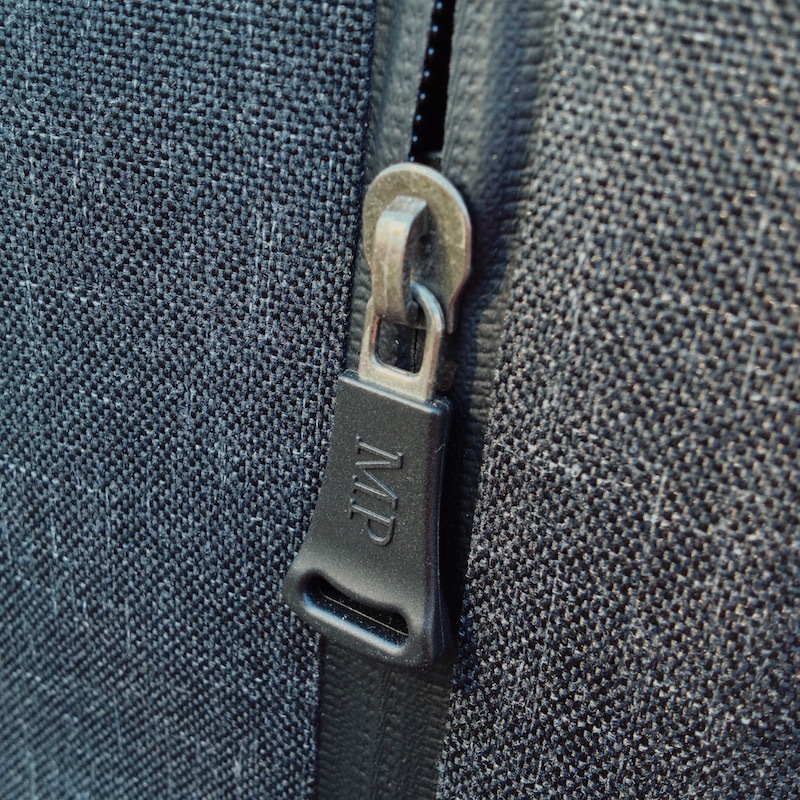 All the zippers are completely waterproof and the roll top closure prevents water from entering at the top of the pack. This is a very useful feature if you’re commuting in the rain, or traveling to a rainy location, like I did when visiting to Atlanta. Note: This backpack cannot be submerged in water. Although it’s waterproof, the roll top will be breached if submerged. 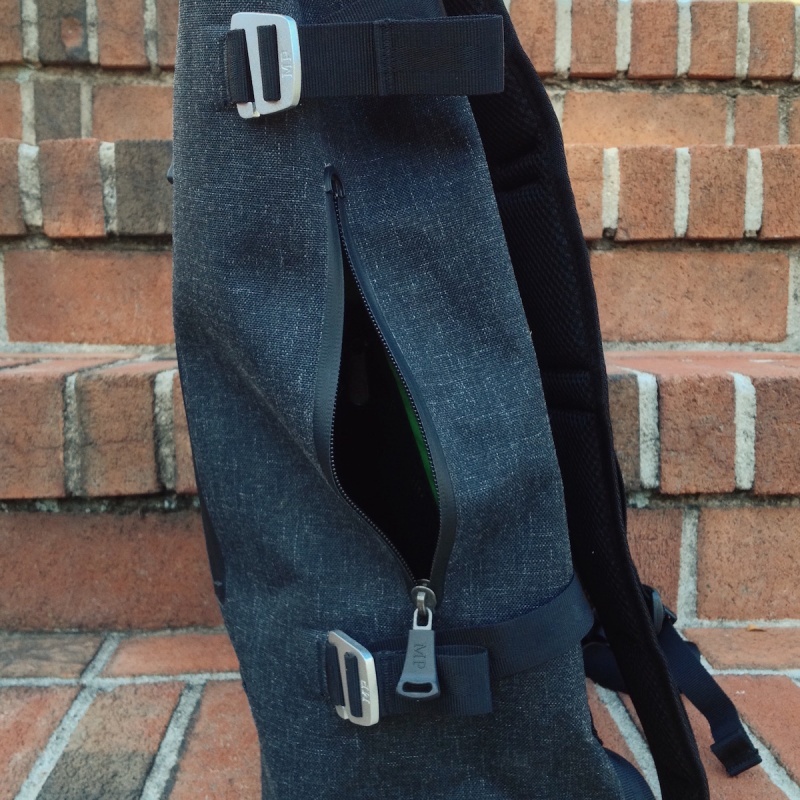 The compression straps and roll top closure of this backpack look great – but they aren’t as functional as I’d like. When pulling on the compression straps, I expect for them to cinch down and compress the bag. 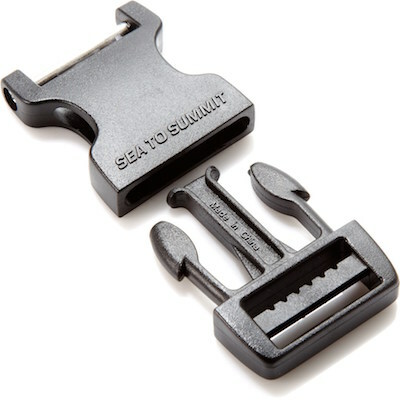 Unfortunately, the straps won’t tighten unless you use both hands to feed them through the buckle. This is annoying and I wish the compression straps could be tightened and loosened more easily. The metal hooking clasps look great, but I find them unnecessarily difficult to use. Something like the clasp depicted below would be easier to use, but it wouldn’t look half as good as the current metal ones. A compromise between aesthetics and functionality would be to keep the current clasps, but make them smoother, allowing the nylon straps to be pulled through and tightened with more ease. The Harbor Backpack has only one external pocket, located right at the front of the pack. The pocket is great and has a large capacity, but I’d like for there to be one more exterior pocket. This would be for holding small items like sunglasses or headphones that I wouldn’t want to put in the main compartment. 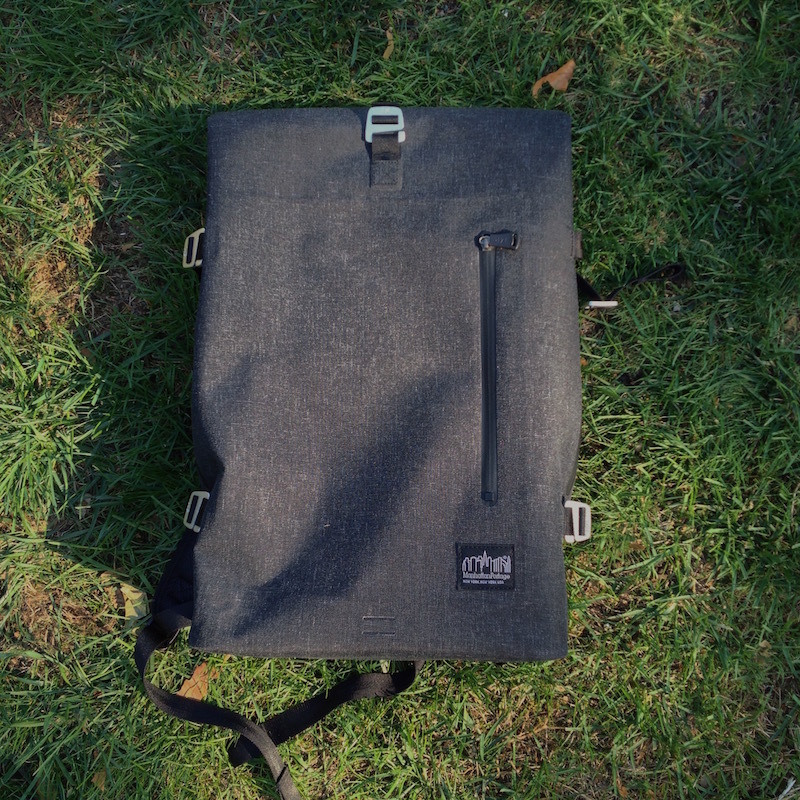 The Manhattan Portage Harbor Backpack is a workhorse but looks stylish in the process. Whether you’re traveling overnight, commuting in the rain or carrying clothes from the laundromat, the Harbor Backpack can do the job. It’s waterproof, comfortable to carry and very functional – although not without some minor issues. Priced at retail $275, the Harbor Backpack is on the higher end, however you pay for: the high quality build, design and waterproof finish. The backpack comes in black (which I’ve reviewed) and brown. Have any questions about the Harbor Backpack? Leave your comment below. The Manhattan Portage Harbor Backpack was provided for this review. 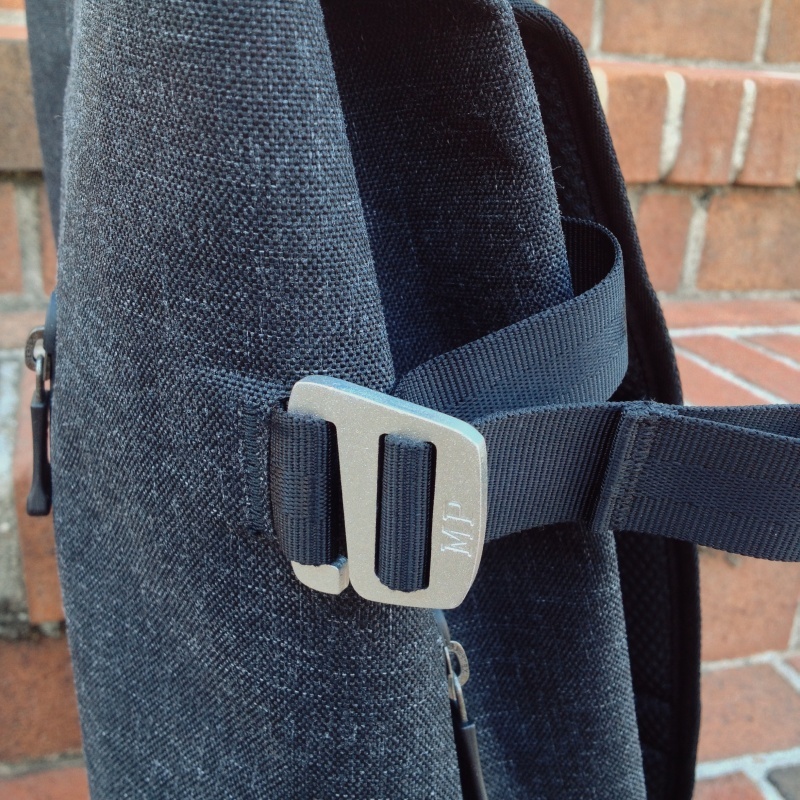 As always, this Harbor Backpack review contains only my honest views and opinions. Find out more about me and this site here.